If you are looking to organise an evening function for your birthday and you're looking to do something really special, why not hire one of our stunning dance floors to create a beautiful dance area? We can also take care of your entertainment needs with our highly experienced DJ's and Disco packages. 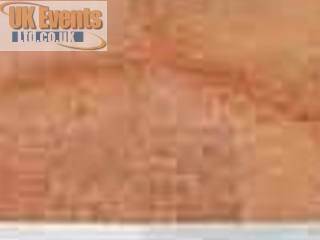 We have many disco and dance floor packages to choose from. Choose between our Oak Parquet, Pure Black, Pure White and the amazing Retro chequered Black and white dance floor for your birthday celebration. If you are looking to take one of our disco packages, then click on our disco and dance floor page to see what great savings and options are on offer. 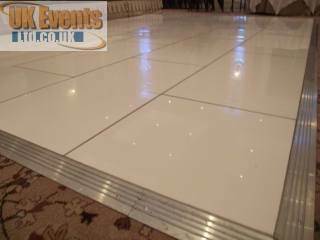 All of our dance floors are highly polished and can be installed to almost any dimension desired. Our fully trained, polite and professional installation team will take care of laying and de-rigging to ensure a safe installation every time. We now have the World's first hot pink starlit dance floor available to hire today. We are now proud to offer LED uplighters and starcloth backdrops to really enhance the overal look of your function room. New This year we are proud to offer a fully animated mobile curved bar, the lastest technology in wireless uplighters and 5ft love letters.